Explore True Treasure is committed to supporting Christians in their journeys of faith. Together, we’ll explore a variety of topics of importance to Christians. Our goal is to provide a nurturing, inspiring environment in which participants can share, learn and grow. So often the word ‘treasure’ brings to mind images of gold coins and dazzling jewels bursting forth from a rusty treasure chest. As seekers of Christ, let’s focus on true treasure — such as faith, hope and love. Instead of seeking an abundance of things, we can treasure a satisfying, fulfilling, and abundant life in Christ. These programs are designed to help adults and families embrace these true treasures. As Christians, we are called to be generous, loving and unafraid. Our programs are grounded in Scripture, through which God reveals himself. 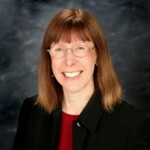 Dorothy W. Trotter is a writer, speaker, workshop leader, event coordinator and marketing communications consultant. Her work has appeared in such publications as American Libraries, The Charlotte Observer’s BREAK magazine, Senior Directions and the Charlotte Chamber’s Ventures magazine. Dorothy has led retreats, workshops and small group studies in Charlotte for the Shepherd’s Center, Providence United Methodist Church, St. Stephen United Methodist Church and Christ Episcopal Church, as well as at Kanuga Conference Center in Hendersonville, North Carolina. Topics have included faith journaling, developing spiritual practices to enhance your Sabbath time and cultivating a sacramental attitude toward God’s abundant gifts. She is scheduled to graduate from the Forma Certificate Program for Leadership in Lifelong Christian Formation in August 2016 and the four-year Education for Ministry (EFM) program in April 2017. Dorothy and her husband Will are members of the Board of Visitors of Kanuga Conference Center in Hendersonville, NC. Dorothy received her Bachelor’s degree from UNC Greensboro. 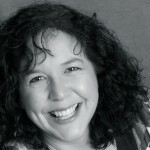 Linda Escalera Price is a playwright, marketing guru and Christian group leader. Her plays have been produced by Equity theaters across the US. Several churches have performed her chancel dramas and cantata. Her many church leadership roles have included creating and coordinating contemporary worship services, leading Bible and book study groups, organizing retreats and developing contemporary music activities. Linda received her MFA in Creative Writing for Stage and Screen from Queens University in Charlotte, NC and her BA in Journalism from the University of Rhode Island. Linda and her husband Rich are members of the Board of Visitors of Kanuga Conference Center in Hendersonville, NC. Cindy Smith has over 12 years of experience in Christian Education, and a Master’s degree in Christian Education from Pfeiffer University. She has served on the staff of Providence United Methodist Church and St. Stephen United Methodist in Charlotte, and Myers Memorial Methodist Church in Gastonia, NC. Her responsibilities at these churches included Christian education for children and adults, Women’s Ministry, Stephen Ministry, small group ministries and communications. 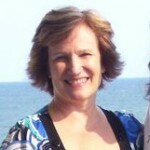 Cindy was a presenter at 2008 national conference of the Christian Educators Fellowship. She has written curriculum for the United Methodist Church Publishing House (Cokesbury).